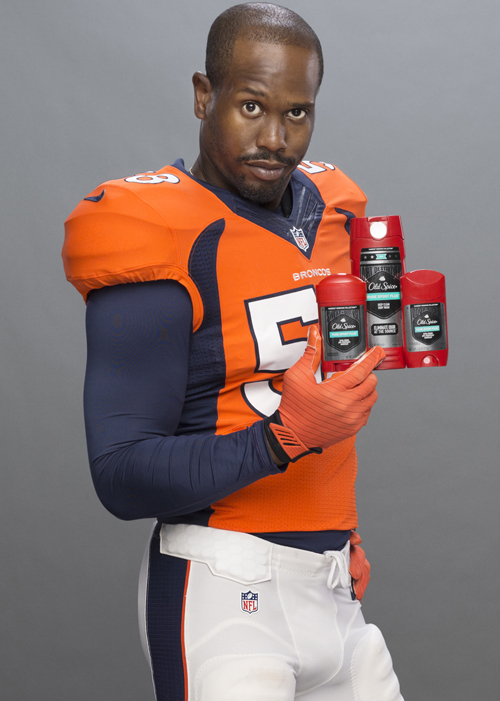 Old Spice, the “Greatest Smell in the NFL,” announced today it has teamed up with star Denver Broncos linebacker Von Miller. Miller will be the face of its 2016 NFL campaign featuring the brand’s Hardest Working Collection performance lineup, Old Spice’s most powerful anti-perspirant/deodorants and body washes in the world. As the “Official Deodorant and Body Wash” of the NFL, Old Spice and its Hardest Working Collection deliver Legendary Protection for Legendary Men. Miller is a perfect fit for Old Spice, the manliest grooming brand on the planet. Entering his sixth season, Miller is coming off another dominant year which culminated in being named Most Valuable Player in Denver’s 24-10 Super Bowl 50 victory over the Carolina Panthers. Miller, a four-time Pro Bowl selection, recently signed the richest defensive player contract in NFL history. And his impressive hard work doesn’t end at football. 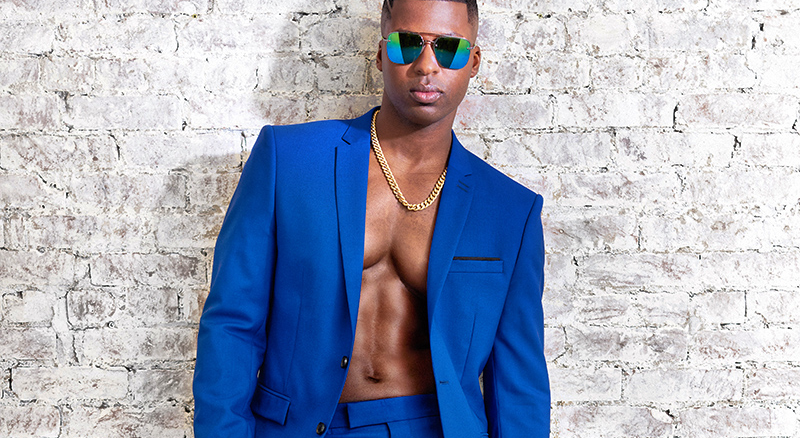 Off the field, Miller finds the time to successfully raise chickens, devour the latest scientific and natural curiosities, plus display amazing dance moves on television and in the backfield, all while marching to his own fashion and style beat. Old Spice, known for its memorable advertising creative and long-standing partnership with the NFL, is coming off another year as the No. 1 male anti-perspirant/deodorant and body wash brand in the U.S. Sweat Defense Anti-Perspirant – Sweat Defense soft solid anti-perspirant is Old Spice’s gold standard delivering stronger and longer sweat protection for all-day dryness. Old Spice Sweat Defense delivers 66 percent sweat reduction, outperforming the 20 percent category standard for anti-perspirants. Sweat Defense is also turbocharged with Old Spice’s proprietary BCD technology that traps and locks away bad odor as it occurs while releasing fresh, manly scent in its place. Scents include new Lasting Legend, Pure Sport Plus, Stronger Swagger, Extra Fresh and Fresher Fiji. Odor Blocker Anti-Perspirant – Odor Blocker is Old Spice’s most powerful invisible solid anti-perspirant, delivering legendary performance through stronger and longer sweat protection and a 50 percent increase in BCD odor fighting technology that only Old Spice can claim. Scents include new Lasting Legend, Pure Sport Plus, Stronger Swagger, Extra Fresh and Tougher Timber. Dirt Destroyer Body Wash – Dirt Destroyer is Old Spice’s most powerful body wash, offering 15 percent more cleansers, a 30 percent thicker formula and 20 percent more scent. This thicker formula results in more dirt-eliminating lather with less product going down the drain for an overall better shower experience. Scents include new Lasting Legend, Pure Sport Plus and Stronger Swagger. For more information on the new Hardest Working Collection and the full Old Spice grooming lineup, visit OldSpice.com. For more on muscles, lasers, nachos and jet skis, visit Twitter (@OldSpice), Facebook (Facebook.com/OldSpice), YouTube (YouTube.com/OldSpice), Instagram (oldspice) and Tumblr (oldspice). Procter & Gamble’s Old Spice is the quintessential men’s grooming brand. With nearly 80 years as an American icon, Old Spice is the authority on the male grooming experience and has leveraged this heritage to become the No.1 selling anti-perspirant/deodorant stick and body wash brand with guys of all ages. Old Spice brings authenticity, performance and confidence to male grooming and offers a wide product portfolio for today’s man, including anti-perspirants, deodorants, bar soap, body washes, body sprays, after shaves and colognes.